The Gray Report: Can a great wine be made with alcohol reduction? ConeTech stirred up the world of California wine detractors when its VP claimed at the World Bulk Wine Exhibition in Amsterdam that it reduces the alcohol of 1/4 of all California Chardonnays and Pinot Noirs. There was a tiny media reaction, at left, and a blogger overreaction to a single tweet, on which I got involved commenting. With all due love and respect to Charlie Olken, I want to explore the topic in greater detail on my own home cyberturf. First, I'm a realist about the business of wine. If a batch of product needs heroic means of rescue so it can be sold, so be it. Wineries need to make a living like anyone else selling goods. Please don't take anything I'm going to write here as a negation of the previous sentence. Adam Lee has questioned ConeTech's numbers, and he might be right -- Adam often is -- but that isn't the point. Nobody questions that alcohol reduction is widely used on California wine. The question I want to explore is, why? Don't forget, this ConeTech statement was made at a bulk wine conference. Wineries should use alcohol reduction to turn overripe grapes into sellable wine. To fix mistakes. To make up for unexpected acts of nature. Stipulated. It's no different from adding something to fix a fermentation that takes a wrong turn. Jancis Robinson is right, it ain't natural, but little if any wine is "natural." Without sidetracking too far into the "natural wine" debate, I'll just point out that the market for self-proclaimed "natural wine" is tiny; the overwhelming majority of consumers prefer reliability. Moreover, the overwhelming majority of wines I would consider great wouldn't be classified as "natural wines," and that's true for most people. Most of us prize results over process. Therefore, my question in the headline -- can a great wine be made with alcohol reduction? -- isn't a moral outrage question; for that, go here. I'd like to say it's not a philosophical question, but I'm going to have to get into philosophy in a moment. It's meant as a pragmatic question, like asking, can a great wine be made from reconstituted dried grapes? Or, can a great wine be made from Pinot Gris? Betteridge's Law of Headlines states "Any headline that ends in a question mark can be answered with the word 'no'." That's my unscientific belief about alcohol reduction and great wines; I admit it. Clark Smith did an alcohol reduction tasting for me a few years ago and showed me that one can make competent wine. Most interesting was that alcohol cannot be reduced to any desired level. Instead, there are several exact levels where the reduced-alcohol wine tastes good, and it's hard to predict in advance where they'll be. For example, a Central Valley Syrah initially 18% alcohol might taste good at 15.3% and 14.2%, but terrible at any alcohol level in between. Clark compared them to musical chords. That was a fix-it tasting, though. I didn't taste greatness; I tasted unsellably high-alcohol wines made into fruit-driven wines that people wouldn't complain about. I wouldn't complain about. But I wouldn't recommend them on Twitter either. To answer the question in the headline, one must define "great wine." Since I already touched on one emotional wine topic in this post ("natural wine") maybe nobody will even notice if I say RbbrttPrrrkrdsnt'knwgrtwnnymore. Excuse me. I don't believe there is a universal definition of great wine, but there are camps. There's a riper-is-always-better camp, and for them, perhaps the answer to the headline question is yes. In fact, perhaps ConeTech can be used to concentrate fruit flavors to get even higher ratings. Leave the grapes on the vine until they're almost raisins, use special strains of yeast to ferment the high-brix wines to semi-dryness, then separate out some alcohol so there is some differentiation from Port. I wouldn't be surprised to learn this technique has been used to get 98 points. I fall into the camp that 98 points from certain critics does not mean a great wine, and in fact might mean the opposite. There's an advantage to the riper-is-always-better camp: focus. Those of us outside of it are like a protest march in Berkeley, screaming slogans that contradict each other, disagreeing far more often than we agree. A majority of us, though, probably agree on these aspects of wine greatness: Balance. Freshness. Ageability. Complexity. Elegance. BFACE. I need a name for our group so I'll use that. We may disagree on whether additional qualities are needed. We always loudly disagree on whether specific wines have these qualities. I'm not saying all wines must have these qualities; just last week I wrote about how often I don't want a great wine. But these qualities are, for us, prerequisites for greatness. What I believe, in the absence of evidence, is that a wine with its alcohol reduced cannot have these five prerequisites of greatness. For greatness, there isn't any substitute for picking the grapes at the right time in a year where the weather cooperates. I invite the many winemakers who I know read my blog to prove me wrong. Please. This is not proof. Just because a wine is expensive doesn't make it great. Nor, for the BFACE crowd, would a 96 rating prove anything. You can say you don't care about the BFACE crowd when your $75 Napa Merlot gets a 96, and that's fine. You're in the other camp now. Proof for our camp would be a blind tasting for sommeliers (and some BFACE writers; pick me!). Boy, would I like somebody to set up such a tasting. Wineries are afraid to do this because nobody wants to admit they used alcohol reduction for a high-end wine. But I submit that I've already done this blind tasting. Twice. Here are two articles I've written in the last three months about blind-tasting Napa Valley wines. Here, I recommend 11 Napa Cabernets from 2011, and I use the word "great." 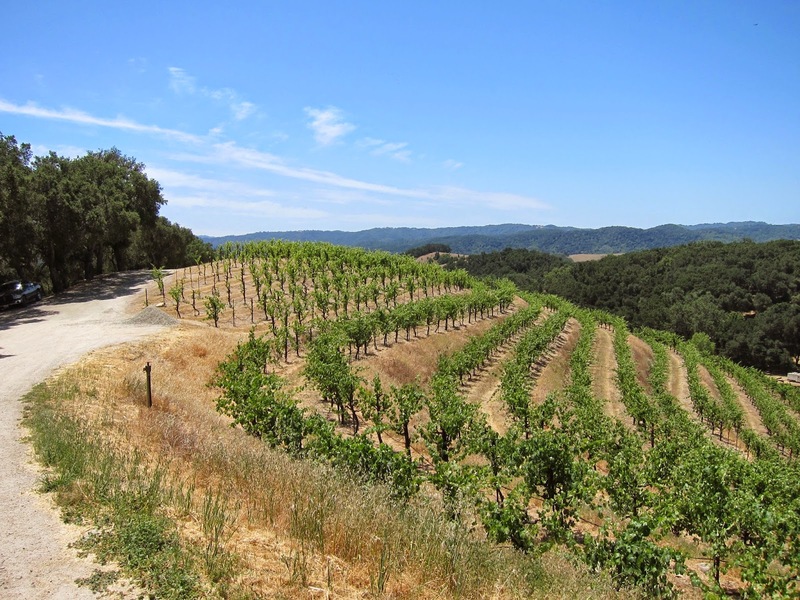 Here, I recommend 11 Napa Valley Merlots, which I called "terrific." Alcohol reduction may have been used on some of the wines submitted -- why wouldn't it be? -- but I do not believe that alcohol reduction was used on any of the wines I liked. That is, however, just a belief. If any winemaker involved with any of those 22 wines wants to email me and tell me his/her wine had its alcohol reduced and I thought it was great, I promise I will not reveal the specific winery. I will just write that the question is answered, and for my palate at least, great wine can be made with alcohol reduction. In the absence of such an email, or a newly arranged blind tasting, I will persist in my perhaps romantic, unscientific view that it's not possible. Competence, sure. Commercial viability, sure. But not greatness. Prove me wrong. Blake, I have no interest in proving you right or wrong, but I have an interest in examining your thesis. I will let you know if the requisite wines can be rounded up and tasted blind by thee and me and other objective reviewers. Thanks Charlie. It would be a fascinating tasting if you could make it happen. So let the technocrats love and make and drink their style of wines and those of us who prefer something else have that. As to Charlie Olken there is no such thing as an objective reviewer. Ps there is a bottle of Yellowtail Pinot Noir sitting on the counter of my kitchen right now that our air bnb bought. I am not going to tell her not to drink that product.. I don't consider it wine. Its a wine beverage. But hey she does not care at all what I think. She also does not care about the food she eats and everything she puts into her body is manufactured. So ...good for her. I like wine that is not made like a product and is farmed a certain way. Just like I prefer food that is fresh from a farm more than 4 week old industrially produced plastic boxes of greens that taste like nothing.. some people like McDonalds too..